Posted February 3rd, 2019 by Guild & filed under News. RUNNING a local business takes a lot of your time and energy but it’s very exciting too! If you’re a chimney sweep there’s a lot to think about – keeping up-to-trade on Guild training courses, making sure your equipment is in good order, checking the van is tidy (always a challenge) and that’s before you even knock on the door of a customer to sweep a chimney. 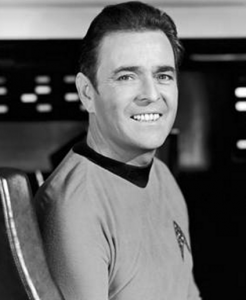 Know yourself and your team: Scotty was always in the engine room in Star Trek. You wouldn’t find him trying to speak Klingon. That was more Spock’s expertise (alright, we all know he was unlikely to be fluent but he was a diplomat in Star Trek V, so must have spoken a bit of the lingo). Scotty let the chaps upstairs do their thing and meanwhile he got on with tinkering the engine, waiting for someone to ask him to beam them up. So… know your strengths, build your weaknesses and be fully aware of the same with any apprentices or admin staff. Tech/software is key: Whether it’s diary planning, accounts, or digital advertising, having the right tech in place is essential. There is software out there specifically created for sweeps (do a Google search and try a free trial). Prioritise accounts too – great record keeping = effective business = profits. Accounts software abounds so again, try free trials and see which suits you best. These days, it’s possible to get tech which allows you to scan invoices straightaway and send. Consider an accountant: There maybe a cost involved (approx £60 per month or thereabouts) but getting an accountant can take a lot of stress out of your sweeping business. It gives you room to focus solely on the customers and marketing, with peace of mind that the accounts are being looked after. Set tasks: Put together a list of daily things-to-do with the most important at the top. Cross them off when tasks are completed (it feels good!). Also, at the end of each week, take some time to plan the following week. Knowing where you are and what you need to do each day is important for an efficient business. 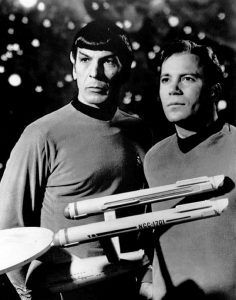 Don’t forget… Unless you have Spock’s brain, it’s too easy for ITWNTR (Important Things We Need To Remember) to be floating in brainspace. Write them down next to your tasks list. Set up an alert if needed, using your smartphone. File and file again: It’s so important to regularly file in a simple but accessible way documents needed for your sweeping business: invoices, printouts of invoices, expenses, etc. You may find it helpful to get someone to help with admin on a part time or full time basis. If it helps you focus on the work to get someone involved – go for it and employ someone! Make sure you can afford it though. Budget – the only way to run a profitable business is to budget properly. Anticipate income from regulars you will definitely get (if you get more money from new work, great but consider that extra income). Set that known income forecast against your costs of technology, running the work van (MOT & insurance, not just petrol and include logo costs), equipment, marketing, training and employees. Also, do plan for holidays and sick days too. Make sure your income covers all of it. Community – Join a regional meeting of the Guild of Master Chimney Sweeps. Attend the annual trade show and join the private social media groups. Why? For the simple reason that you can pick up great admin tips by other sweeps on how they run their businesses effectively! .. and remember: you can always contact the Guild team if you have any questions about admin or other challenges for your local sweeping business. We love chimney sweeping and seeing others succeed in the trade!